In this day and age, who doesn’t have a cell phone? Wifi is becoming more ubiquitous, but there’s still another problem with those phones and tablets we can’t seem to leave home without: battery life. Sure, you can nip into a coffee shop or bar, but there are just so many outlets to go around. It’s no wonder that these venues have a love-hate relationship with their customers’ power needs. Chargifi brings people convenient power where and when they need it most. From coffee shops, to hotels, stadiums, and airports, ‘chargifi spots’ for an intelligent wireless charging network enabling a venue to gather customer information, push promotions, advertising, and other content in exchange for offering wireless charging to its guests. In other words, Chargifi does for power what wifi does for data. 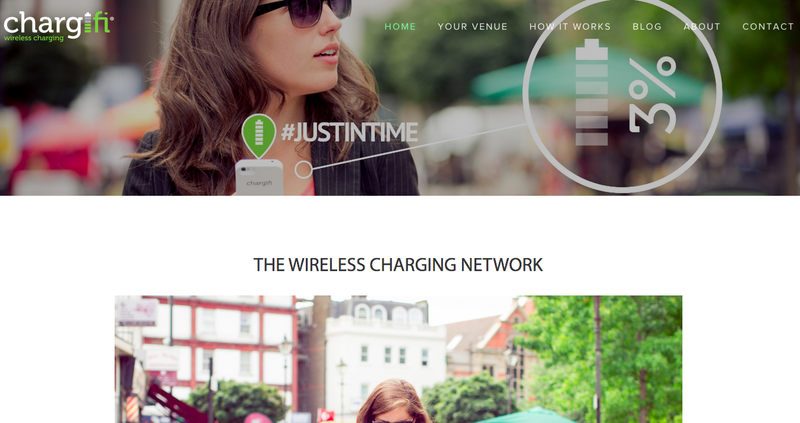 It’s subsurface wireless charging/transmitting for public venues. They’re using the Rezence standard, which can penetrate a table up to 2″ thick or less, so it’s less invasive for furniture and installation – no drilling or serious carpentry required. Right now it works for phones and tablets, and the company hopes to be laptop-compatible later this year. Depending on the Rezence technology, they may some day in the none-too-distant future be a portal for electric-powered vehicles as well.